One of the good things about Android is all of the choices for reading apps. There’s everything from ebook apps to news and rss apps, to digital magazine and newspaper and comic apps, there’s reading apps just for kids, enhanced ebook apps with videos and music, apps that read ebooks aloud. In fact there are apps for just about any kind of reading that you can come up with (except for reading good ole fashioned paper books, of course—no app can replicate that). That’s why I thought it would be a good idea to post an article about how to turn an Android tablet into the ultimate ereader, with a list of all kinds of different Android reading apps, not just ebook apps. Please note that there is some overlap here. Some of the major ebook Android apps, such as Kindle, fall into multiple categories for ebooks, magazines, PDFs, etc, so instead of re-listing them several times, this first section consists of the main reading apps that support multiple styles of ereading. Kindle – In addition to ebooks, the Kindle for Android apps supports newspapers, magazines, textbooks, and comics purchased from Amazon. The app can also read ebooks aloud if you own the audiobook copy. PDF and DRM-free Mobi formats are supported through sideloading too. Kobo – The Kobo app supports ebooks, magazines, comics and children’s books purchased from Kobo. The apps also supports sideloaded DRM-free ePub ebooks. Nook – Barnes and Noble’s Nook app supports ebooks, magazines, newspapers, comics, and kids books from the Nook store. It also supports DRM-free ePub and CBZ files. Google Play Books – The Google ebooks apps supports ebooks and textbooks from Google, as well as sideloaded DRM-free ePub and PDF ebooks, which can be uploaded to your account. The apps also features text-to-speech to read ebooks aloud. OverDrive – Supports ebooks, audiobooks, and streaming video from your library. Supports Adobe DRM for ePub and PDF. Aldiko – Supports ePub and PDF formats, including ebooks with Adobe DRM. Moon+ Reader – Support epub, EPUB3, mobi, chm, cbr, cbz, umd, fb2, txt, html, rar, and zip formats. Text to Speech (TTS) support. Cool Reader – Supports epub (non-DRM), fb2, doc, txt, rtf, html, chm, tcr, pdb, prc, mobi (non-DRM), pml formats. Text to Speech (TTS) support. Mantano – Supports ePub and PDF formats, including ebooks with Adobe DRM. PocketBook – Supports Adobe DRM, PDF, EPUB, DjVu, TXT, FB2, FB2.zip, CHM, html(basic), CBZ, CBR, and СBT. FBReader – Supports epub, rtf, doc (MS Word), html, fb2(.zip), mobi, and plain text file formats. Supports YotaPhone Always-On Display functionality (can display text on both LCD and eInk screens). BlueFire – Supports ePub and PDF formats, including ebooks with Adobe DRM. Supports Text-To-Speech (TTS). AlReader – Supports fb2, fbz, txt, epub, html, doc, docx, odt, rtf, mobi, prc (PalmDoc), tcr formats, and ZIP and GZ archives. Supports Text-To-Speech (TTS). Scribd – Offers unlimited access to over 300,000 ebooks for $8.99 per month. Oyster – Offers unlimited access to over 500,000 books for $9.95 a month. Entitle – Offers access to 125,000 ebooks for a monthly subscription rate of $9.99. 24symbols – Offers a catalog of over 15,000 novels, poetry and business books. Free service has limited access to ebooks; paid service for full catalog. Adobe PDF Reader – A free dedicated PDF app with a good amount of features. EBookDroid – A popular PDF & DJVU Reader, also supports XPS, fb2, cbr and cbz. ezPDF Reader – A popular dedicated PDF reader app with lots of features, includes support for embedded audio, video, animation GIF and TTS. Also supports DRM-free ePub. Costs $3.99. RepliGo – A deidcated PDF reader app with loads of features, including text-to-speech. Costs $2.99. Note that most of the regular ebook apps listed above support PDF as well. Comixology – Offers instant access to more than 50,000 digital comics and graphic novels. Marvel Comics – Access to over 3500 comics from the Marvel Comics universe. DC Comics – Publishes more than 80 comic format titles monthly and over 1,000 comic books and graphic novels annually. Dark Horse Comics – Offers access to comics, graphic novels, and manga. ComicRack Free – Reads CBZ and CBR natively, syncs with a desktop Windows program. A Comic Viewer – Supports BZ/ZIP, ACV, CBR/RAR (beta), JPEG, PNG, BMP formats. Perfect Viewer – Supports JPEG, PNG, GIF, BMP, WebP CBZ/ZIP, CBR/RAR, 7Z/CB7, LZH. Note that some of the regular ebook apps listed above support comic formats as well. Note that Amazon, Kobo, and Nook offer magazines as well. PressReader – Includes newspapers from 100+ countries and in 60+ languages. Also offers some magazines. US Newspapers – Includes newspapers and news sites from over 1170 US newspapers. UK Newspapers – Includes newspapers and news sites from over 560 newspapers. World Newspapers – More than 6000 Worldwide newspapers, websites and magazine. Note that Amazon, Kobo, and Nook offer newspapers as well. I knew there were several apps you could use, but didn’t realize there were so many of them. I’m thinking of doing this with a fairly cheap android tablet. I’ve been debating about getting the Kindle Paperwhite for some time now, but think It would make much more sense going this route Instead. Appreciate all the Info Nathan! I didn’t know there were so many reading apps either. And this is really only the tip of the iceberg. I decided to nix several additional sections I had planned because the list was simply getting too long. Maybe I’ll do a part 2 someday. Now, Nathan, you are making this too much fun! It will be amazing to take a look at these and see what else is out there for ebooks. Tablets really do rule for the ereading experience if you want access to lots of different sources or apps. And thanks for adding other forms of “reading” instead of straight books. Generally it is only tablets that get all the reading apps, but there are a few ebook readers that can install them as well, like the Onyx Boox T68 with Android 4.0 that I posted about today. 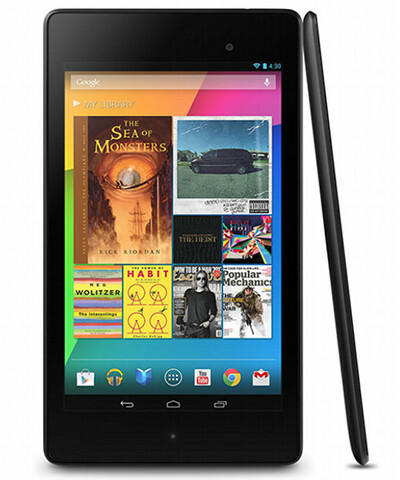 It will be fun to test out an ebook reader with unfettered access to all the good Android tablet apps. Nathan, any picks for listening to audio book apps? I had planned on putting a section for audiobooks initially but ran out of time. So I just went ahead and added a few to the list at the end. mx ppayer rules. it stops and replays from where you stoped. for streaming i dunno if it is so good. Nathan, what would be the best android tablet that u could plug a USB into with a lot of memory? have a ton of ebooks and my 16 gig ipad is almost full. I know what you mean. Personally I don’t think 16GB iPads should even exist with how big apps are these days. I’m always running out of space too. But I can’t really offer any advice on Android tablets because I haven’t been following them much lately. Pretty much all of them have memory card slots. I don’t know about plugging in a USB. Some support USB OTG and some don’t, and it’s never really advertised so I don’t know how you’d find out. I know this post is over a year old but what is that on the homepage that says “My Library”? That would make it really simple to keep books organized. Regarding adding additional storage, there are portable external HDD’s that connect over Wifi. Maybe this will be a solution when you run out of space on that 16gb tablet. Nathan, do you know if my Dell Venue 8 7000 Android 5.0 tablet that I use exclusively as an ebook reader is compatible with these Wifi HDD’s? Yeah, pretty much any tablet will work with WiFi drives. Have you tried using a different memory card? Maybe the card is defective. If I connect a WiFi drive to my tablet when I plan to access it’s data then I will loose my internet connection on a WiFi only tablet. I get either secondary WiFi storage or WiFi internet access, but not both at the same time? I don’t know how it works with other WiFi drives, but the Seagate Hard drives can connect to the internet so you can use both with one connection. See these directions. I have a Zeepad which is worthless for everything I have tried. Will this work however for eReading? Thanks. It supports audio, video and all ePub3 features. The reader comes with a free book, which contains youtube video. Moreover, you can download a lot of free books.